Graphic Songs makes t-shirts, art prints, mugs, phone cases, diaries, badges and even temporary tattoos that are all inspired by music and great musicians. Imagine hearing different sounds and music, visualising it and printing it on items you’d use daily— Graphic Songs is doing exactly that. 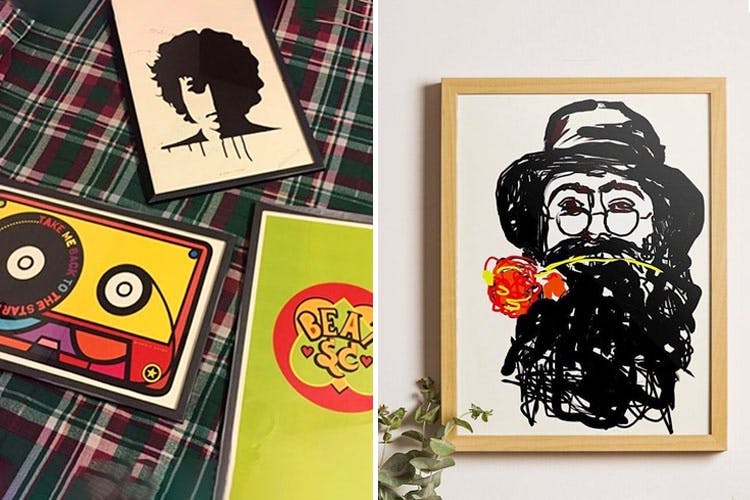 All their stuff is minimal, and takes inspiration from the best of musicians.Think Fix You graphic tees, Bob dylan graphic notebooks, Green day phone covers, and abstract coloured mugs based on U2’s lyrics. They also take bulk orders and are open to customisations. Their shipping can take a week. So, factor that in when you’re making an order. Have a great idea of your own that you’d wish they’d sell? Feel free to get in touch with them as they’re open to all such ideas.